While learning is undoubtedly a personal pursuit, and it’s important to find what works best for you, there are certain techniques which are more effective than others – we’ve listed them below. Make like a boy scout and get organised. You’re probably reading this because it’s too late for all that ...but hey, do what you can. A revision session can quickly turn into a muddle of procrastination simply because there seems too much to do: it’s overwhelming, so one avoids starting. Give yourself a timetable with clear targets and you’ll be more efficient with your time. Good revision is about using your time well – and while going over and over the things you already know may well boost your confidence, it won’t help you improve. Test yourself before you make a start and you’ll quickly realise where to focus your time. Test yourself often, but never after immediately learning something. There’s no point – if you’ve just taken in the information, recalling it will be no challenge. 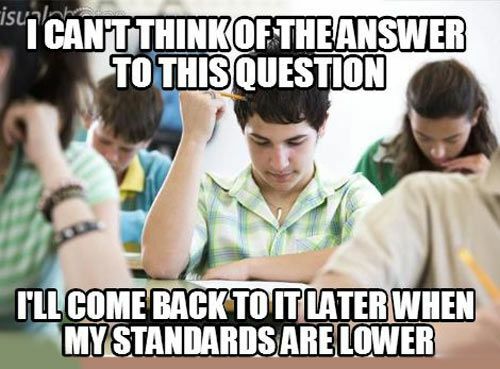 So leave a decent gap of a few hours, then return to the subject and test yourself again. This way you can ensure you actually know the answers in the long term, rather than simply reading and immediately regurgitating it. Keep doing this to ensure everything sticks and you can get to the information quickly. After all, learning the stuff is often the easy part: remembering it and recalling it is the problem. Mix up what you’re revising: if you stay on one subject too long, you’ll stagnate and the new information will simply overwrite the old. Take in a little of something, freshen yourself up with another topic, so on and so forth, then return to the beginning. When you come to test yourself on it all later, you’ll have a little of everything to recall, meaning you can’t skip over the details. It forces your brain to stay engaged – which, hey, means you might really take some of it in. …preferably in a funny accent. No, really. 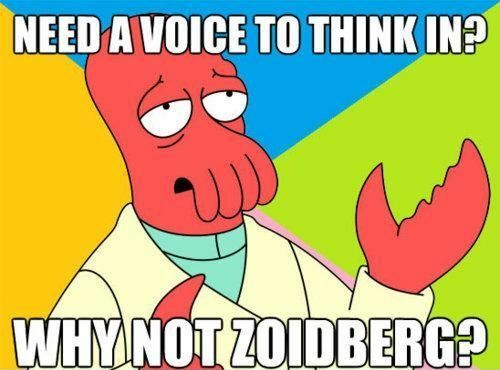 Do you best Zoidberg, or Morgan Freeman (now you're reading this in his voice...) or whomever, and read the key information out to yourself. Hearing the words as you read them means your brain is processing them two ways, so you’re more likely to commit what you’re learning to memory. The accent should ensure you listen more intently and accordingly, you’re more likely to remember what you’re hearing. That’s a win, then. When the exam is just a few days away and you’ve got most of a textbook to swallow, it seems a daunting, near impossible task. It overwhelms you - welcome to ‘the fear’. Suddenly it seems as though your mind can’t hold a thing: a paragraph read is a paragraph forgotten. Break it down as much as you can and then test yourself on the small things – sentence by sentence. Later, if you’re writing revision notes (always worthwhile), condense everything you need to learn into easily memorably chunks and use these as a reminder of the broader topic – you’ll be surprised by how easy a topic seems when its presented like this. Bear in mind, though, it’s no good to only learn these brief notes – they’re oversimplified, after all. Read them, repeat them and use them as a spring board to dive into the details.